Home / News / Did a blue wave pass through South Philly? South Philly politics boiled down to essentially three key races this past election: The election for the Pennsylvania’s 3rd and 5th congressional districts and the 184th state house seat. Democrats won all three elections, and it wasn’t particularly close. The 5th congressional district was the closest election, with Democrat Mary Gay Scanlon edging out Republican Pearl Kim by a margin of 65.1 percent to 34.9 percent. The 3rd congressional district was even more lopsided with Democrat Dwight Evans taking the election victory over Republican Bryan Leib by a whopping 93.4 percent to 6.6 percent. 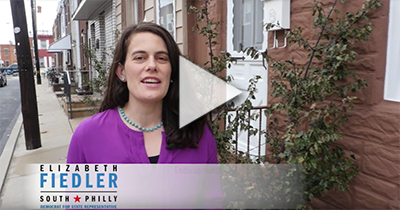 In the 184th state house district, Elizabeth Fiedler garnered 100 percent of the vote. She ran uncontested.